Isn’t that what we do when we pray? Especially when a group comes together to pray? We want to protect, intercept, heal on someone else’s behalf or by our own petition.Much like we use prayer to protect and heal. 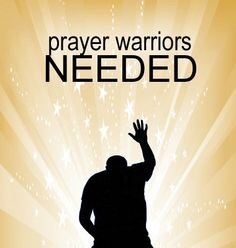 Prayer warrior is a term used by many evangelical and other Christians to refer to anyone who is committed to praying for others. Ephesians 4:30-32). We learn that we are in a spiritual battle with Satan, so we must pray for our own spiritual well-being to maintain our strength and focus in praying for others (Ephesians 6:12-18). The point of my rambling this morning is that there is someone close to my heart and others around her that could use any and all. 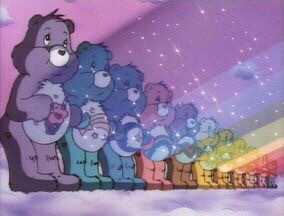 Of course, I would love to dress as a Care Bear and stand out front pretending to emit rays of light from my belly, but somehow I think campus security wouldn’t get my humor. Please use your power of prayer, your care bear stare, or anything else positive you have for my love friend this morning as she faces a huge mountain to climb. Together we can get her over!